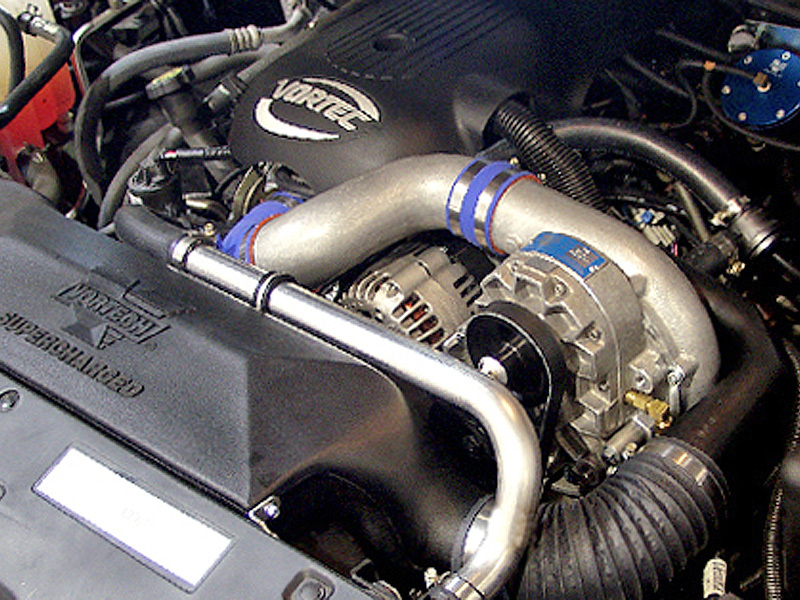 The Vortech supercharging system for the 2001-04 2003 GM Full Size Truck and SUV with the GM VORTEC engine will impress you with the obvious attention to detail and fully integrated appearance. Torque from 290 lb./ft. to 377 lb./ft. Torque from 335 lb./ft. to 415 lb./ft. Torque from 360 lb./ft. to 447 lb./ft. Vortech gear driven supercharger with SQ technology provides nearly silent operation and unmatched reliability. Technologically advanced, high-efficiency impeller and housing design developed in Vortech's supercharger test cell. 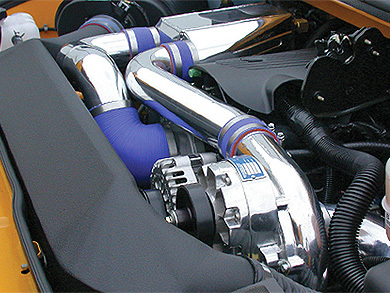 Oil feed and oil drain assemblies deliver the best possible lubrication and cooling for the supercharger, even under sustained boost conditions. High-flow bypass valve provides surge-free compressor operation. Aftermarket Wheel / Tyre Combinations with Larger than Stock Tyre Diameters. Fuel management upgrade includes high-capacity fuel injectors and high-flow fuel pump. ECU Tuning Required (Not Included). These systems are not compatible with Flex-Fuel vehicles. Installation time is approximately 12 hours. Includes Replacement fuel injectors. Tuning Required (Not Included).